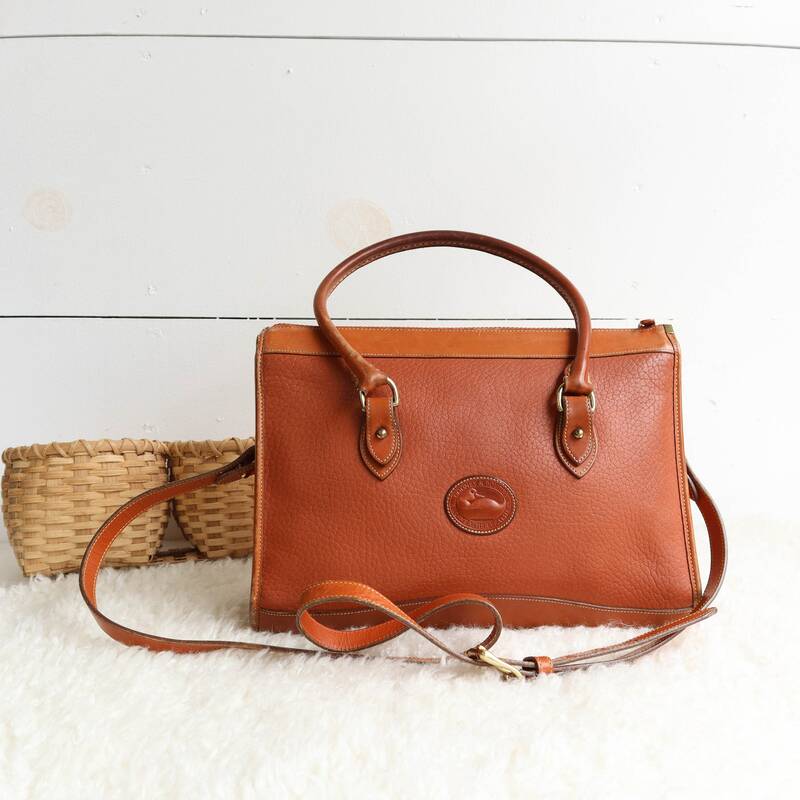 This vintage Dooney & Bourke All Weather Leather handbag is the statchel style and comes tan & brown pebbled leather and brass hardware. 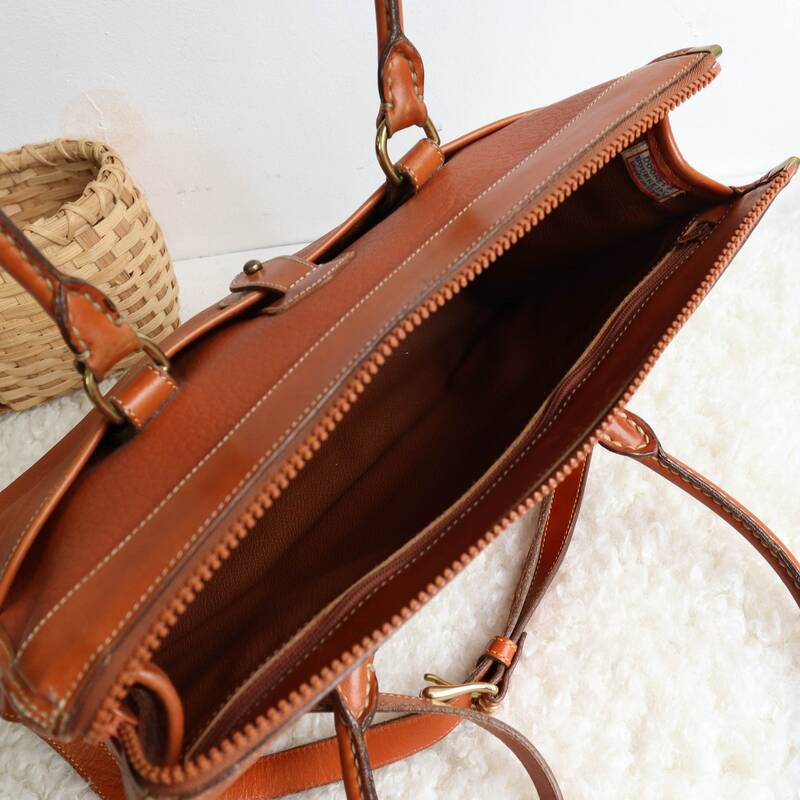 The bag has one main zip top compartment with a couple of inside pockets. 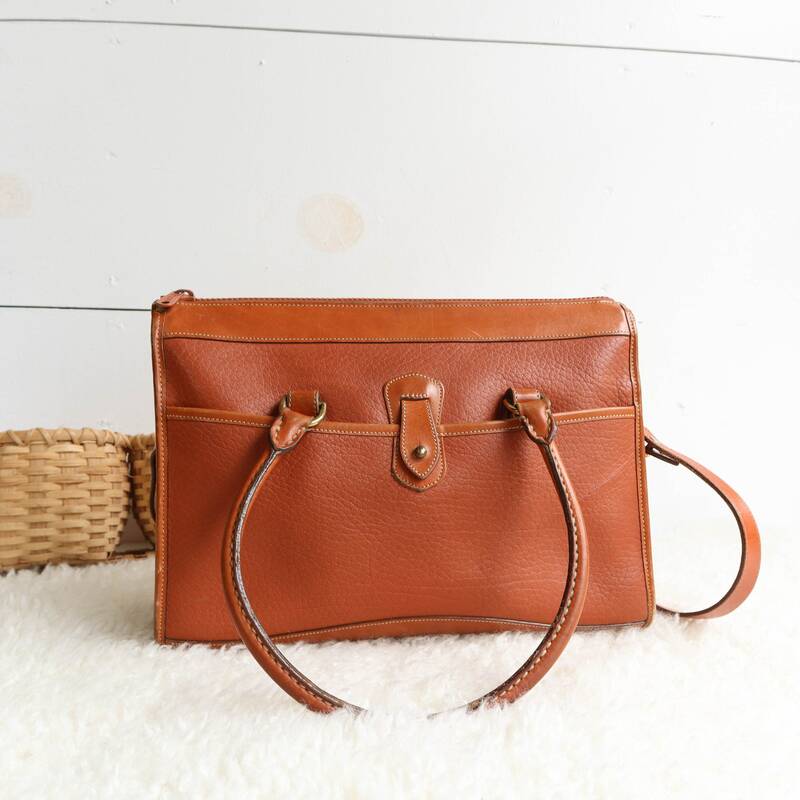 The front of the bag has one slip pocket. 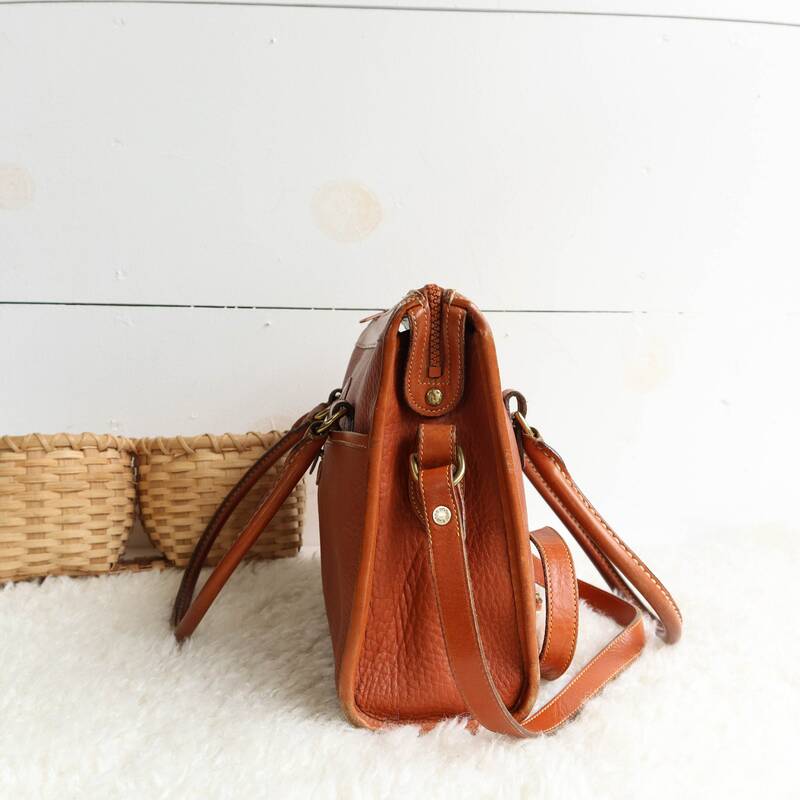 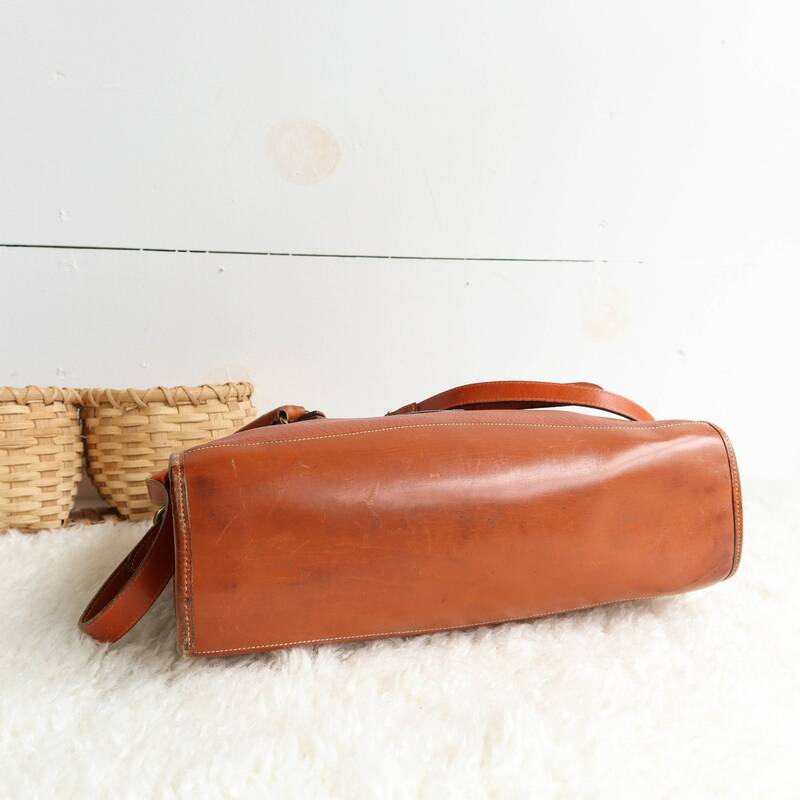 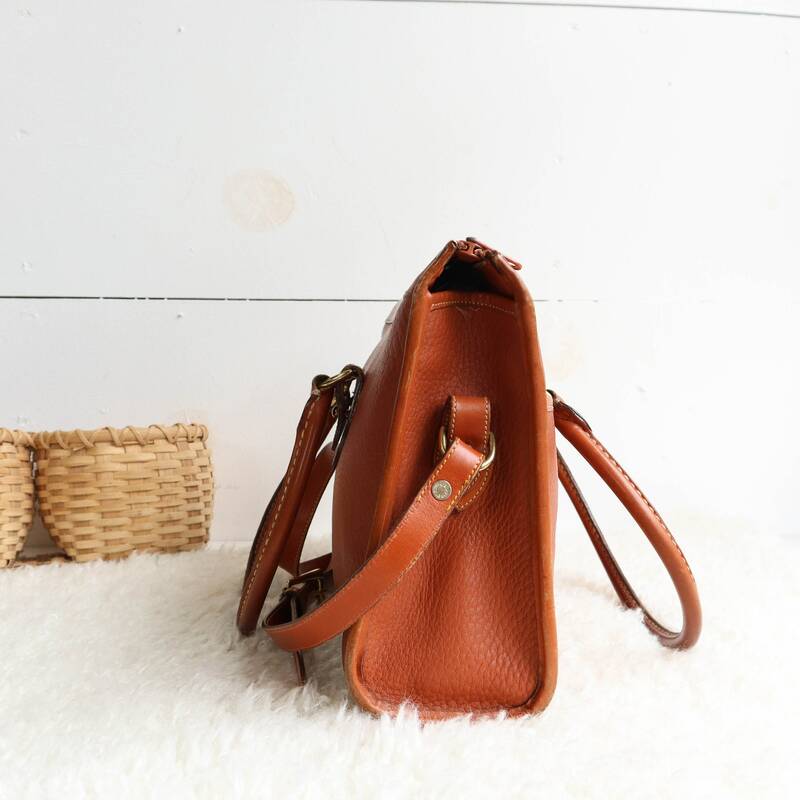 The bag has average wear with some discoloration, good shape overall.